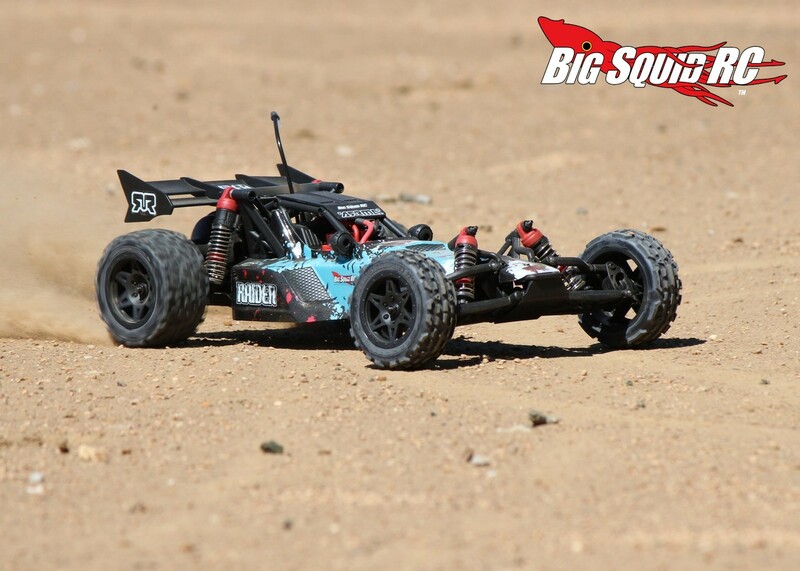 Review – ARRMA RC Raider Mega Series Buggy « Big Squid RC – RC Car and Truck News, Reviews, Videos, and More! 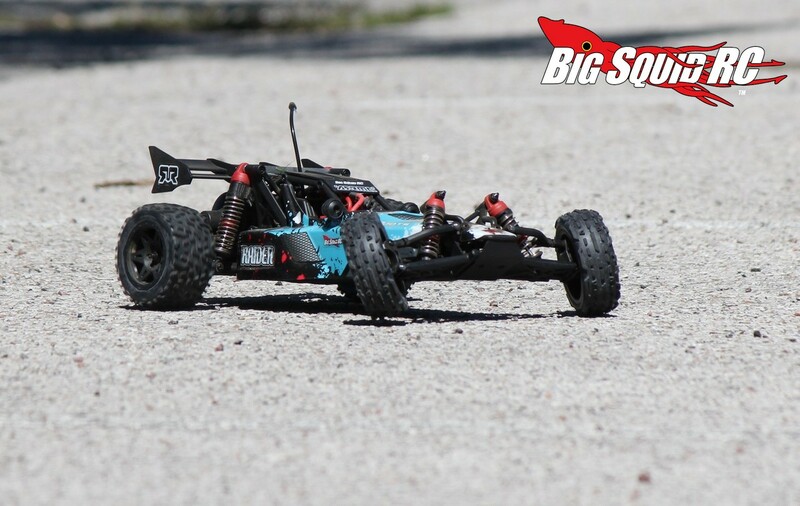 Primary Competition: 1/10th scale RTR buggies like the ECX Boost and Helion Criterion. What’s Needed To Complete: You have to supply four AA batteries for the transmitter, everything else is included. Build Quality: We found nothing out of place or binding on our test unit. Pinion/spur mesh was right on the mark, we didn’t find any loose screws, and the shocks seemed to be properly filled. Test Drivers: Sam The Noob, Hawaiian Chris, Tim M., Iron Mike, and yours truly. 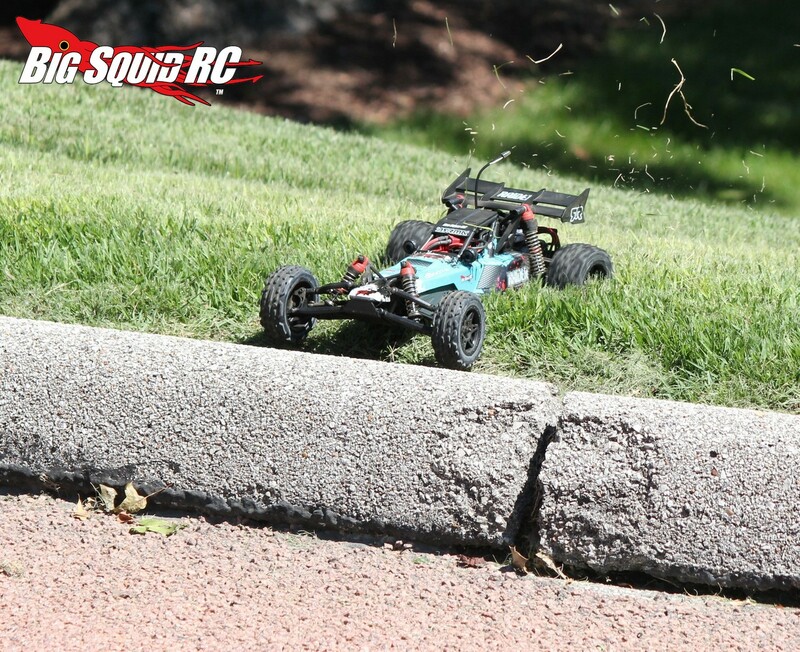 Test Venues: RC Outlaws in Collinsville Illinois, Arnold City Park in Arnold Missouri, Minnie Ha Ha Park in Fenton Missouri, a CostCo parking lot, and a local cul-de-sac. Set-up Notes: We ran both the stock NiMH pack and a TrakPower LiPo battery. We did not use the included charger, instead we let a TrakPower VR-1 handle the charging duties. Turning: We found our Mega Raider pushed a bit going into corners, but stuck at apex and for the rest of the corner. 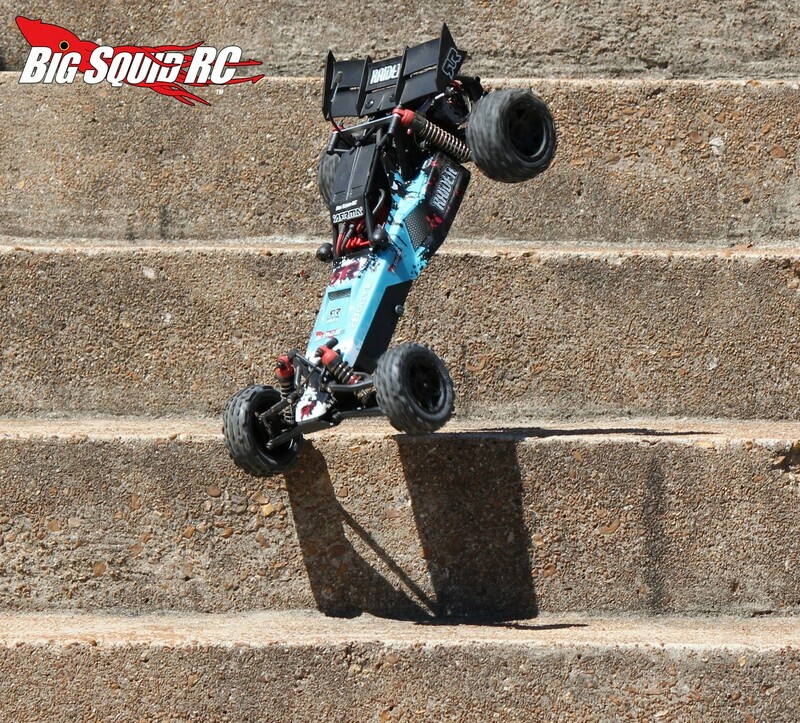 Also of note, the rear of the buggy was low on side-bite, meaning that the rear had a tendency to slide around while cornering. Jumping: The Raider was good at ignoring ruts on jump faces, while its suspension did a fine job soaking up landings. There wasn’t a whole lot of mid-air corrections to be had with the Mega Raider. A tap of the brakes only dropped the nose a small amount, while the brushed motor didn’t have the serious rpm required to bring the nose up during an endo. 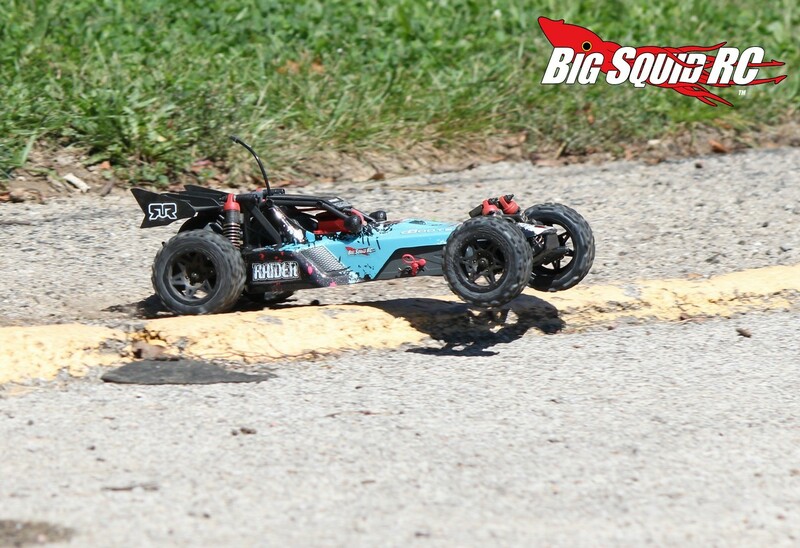 Bumps/Whoops: For a 10th scale buggy, the Raider did an admirable job in the rough. The front suspension was spot on for spring rate and damping, while the rear felt a bit on the soft side. The Raider would pound through most rough sections without issue, but it did give the occasional side hop because of the soft rear damping. On-Road: We had a lot of good times driving the Raider on-road. The power system had enough power to be fun, while the chassis never traction rolled. With some push going into corners it was easy to drive, even for noobs. 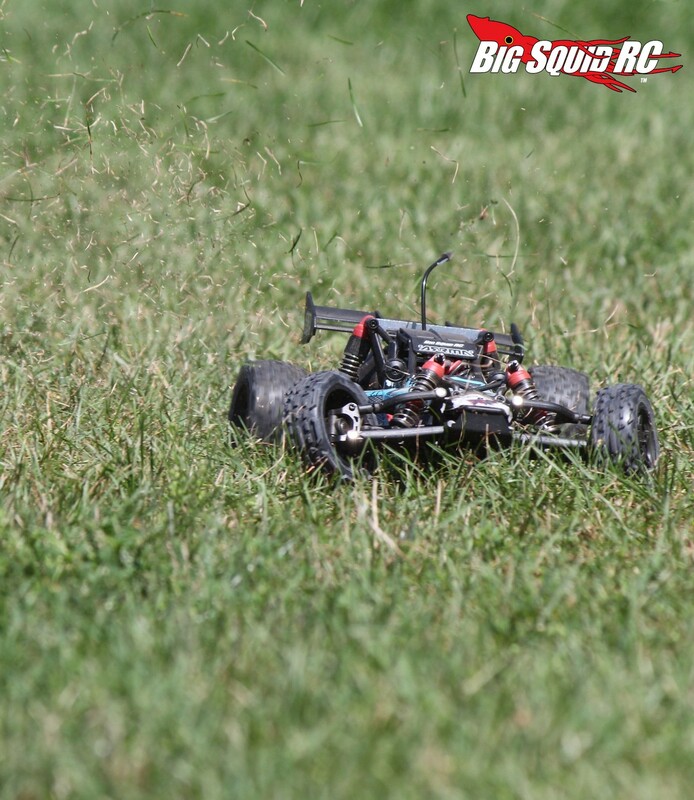 Grass: Yes, the Raider can get around in short grass, but due to its small diameter tires and brushed power system, taller grass could stop the Raider in its tracks. 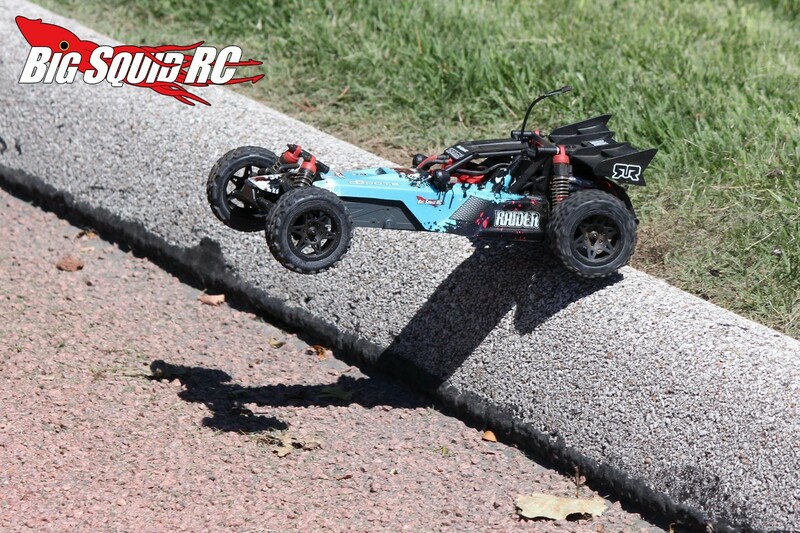 Tires: The dBoots on the Mega Series Raider seemed to be a harder compound than on the BLX Raider we tested a while back. That fact, along with much less power, resulted in very long tire life. 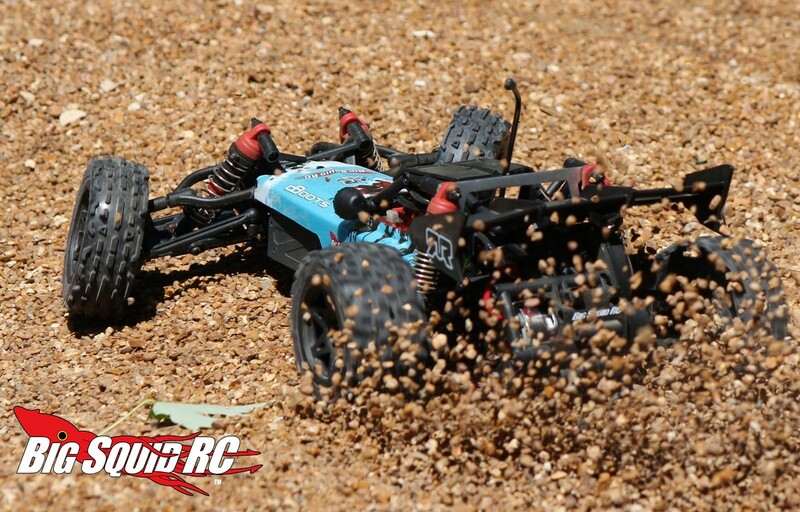 The stock tires seemed to be at their best on loamier surfaces. Where they did not shine was on hard pack/high bite areas, there they did not offer up much mechanical grip. Power: There is enough spank off the bottom to throw roost in the dirt or burn off the tires on concrete, but the mid-range and top end are soft and predictable. The power system is very noob friendly and easy to drive, but still offering enough yank to keep seasoned hobbyists interested. 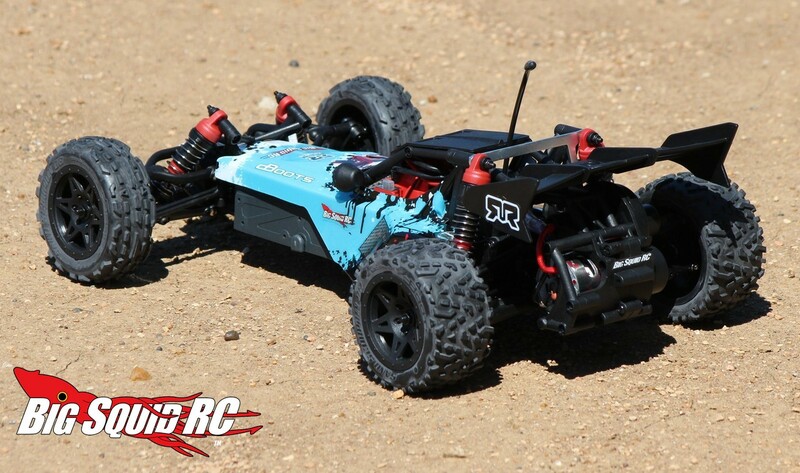 Radio: The ARRMA ATX100 should look familiar to you, it is used with a plethora of Hobbico products. Overall, it works fine and has decent range with no glitching. Broken Parts: We caught a curb at speed and managed to bust a rear hub carrier. Also, after a few various slams into hard objects the stock servo decided to give up the ghost. While the included NiMH is stated to be of 2000mAh capacity, we only saw 1700 when we tested it. 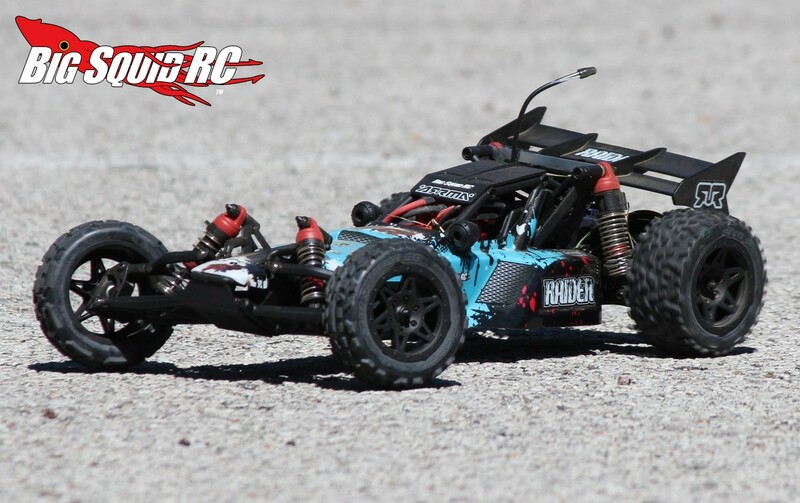 A Deans connector comes standard on the Mega Raider, kudos to ARRMA on that one. 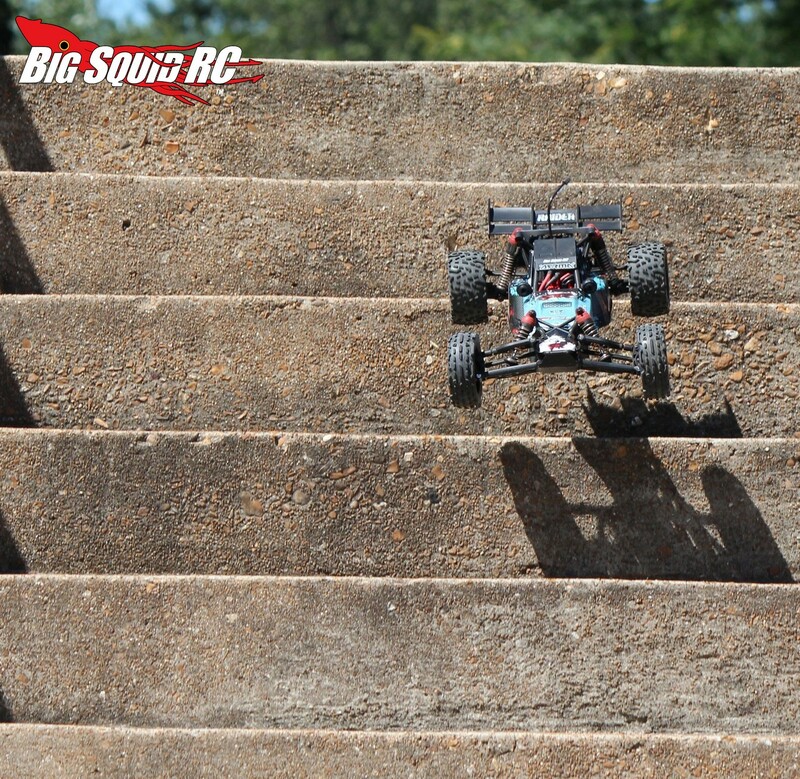 Bottom mount battery trays can be a big PITA, but the one on the Mega Raider worked fine for us. 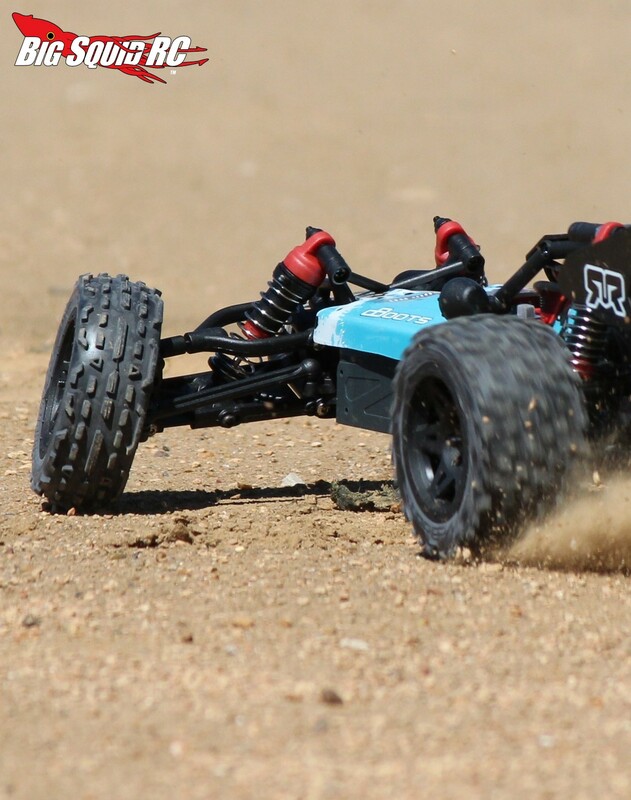 This made battery changes fast and easy, without the hassle of having to remove the body. We found the Mega Raider had a noisier drivetrain than the BLX series. 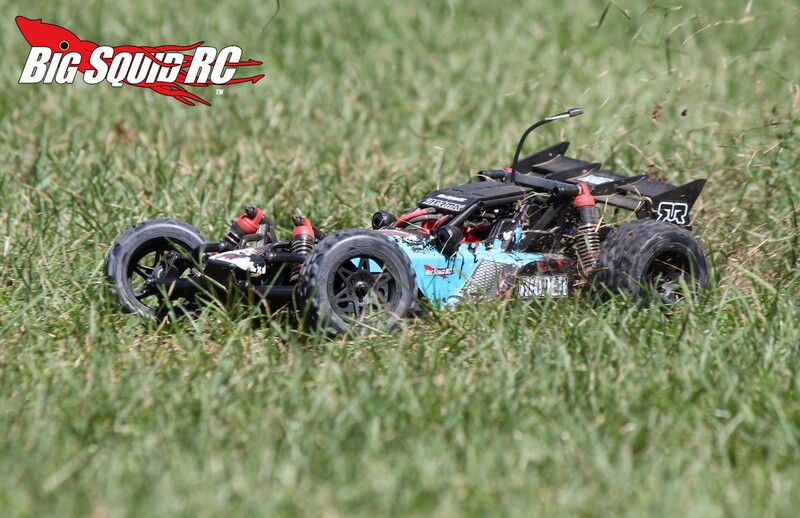 For those of you wondering if the new plastic chassis can take a good beating, yes it can. 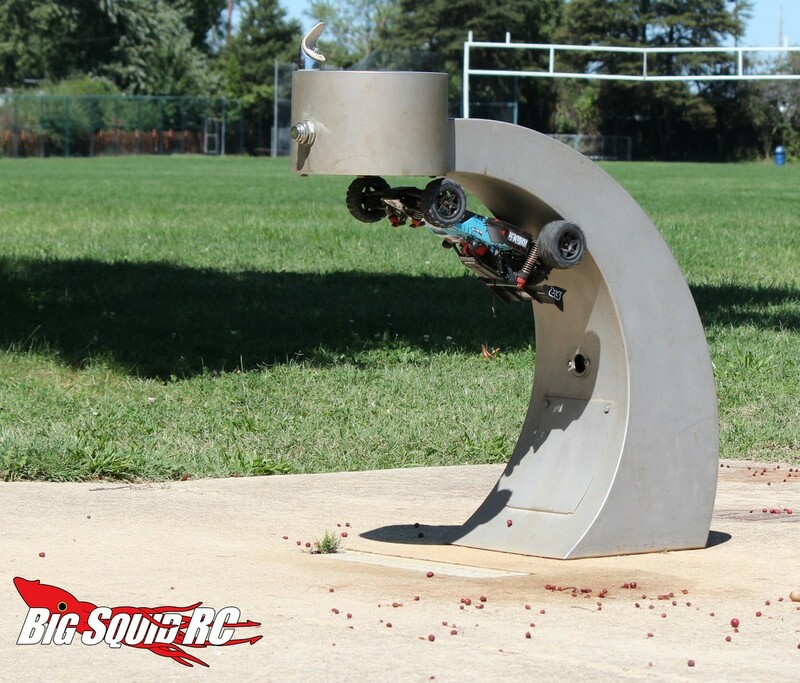 While the more expensive ARRMA units come with aluminum, we might actually prefer the plastic, it is plenty stiff, and doesn’t get bent. Best Mod Under $5: Like we recommended in our Mega Series Granite review, we would cut the check for the optional aluminum motor mount. This keeps motor temps down and looks much tricker than the stock plastic part. 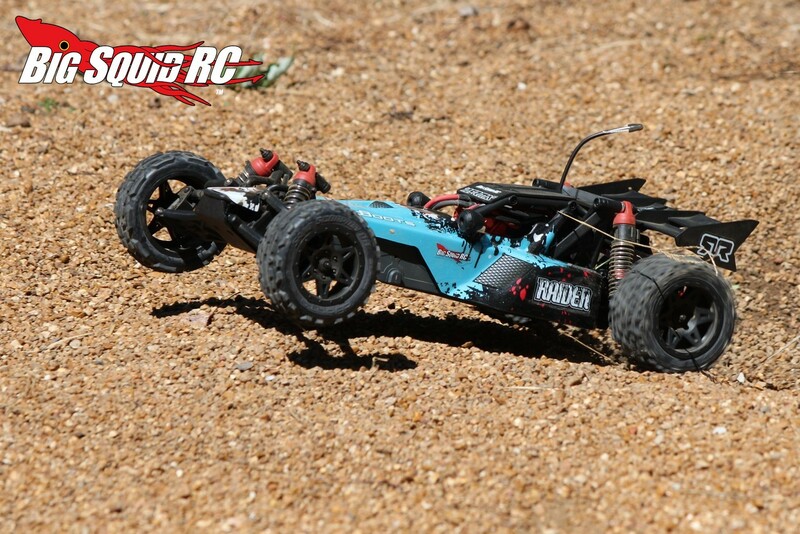 Best Mod Over $5: A good quality LiPo battery gives the buggy much more snap off the bottom and more top speed. Time To Bash: C The Raider is fast and easy to get going, only its slow wall charger brought down the score in this area. Workability: C Phillips hardware, a twin spare frame, and a body that is held on with screws instead of body clips brings down its score here. Car Show Rating: C While the graphics were crisp, our Bash Crew were not big fans of the baby blue paint scheme. 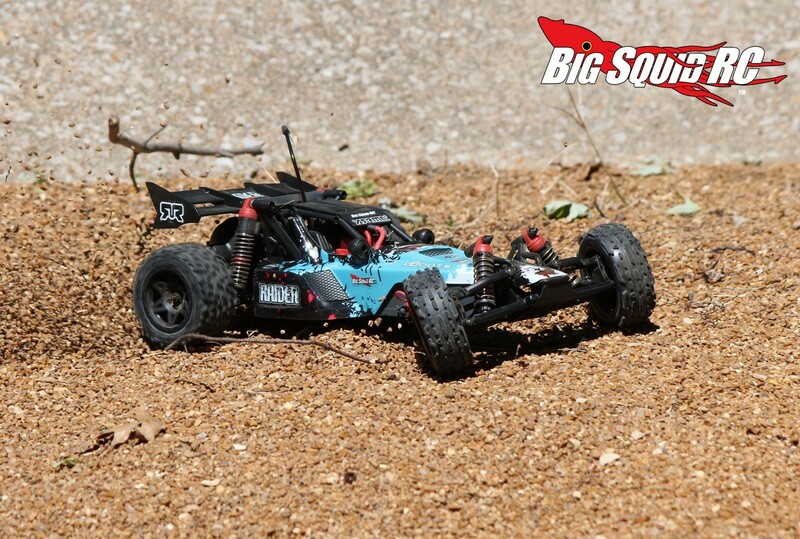 Bash-A-Bility: C The Mega Raider can take some normal abuse, but we did break a couple parts when bashing hard. 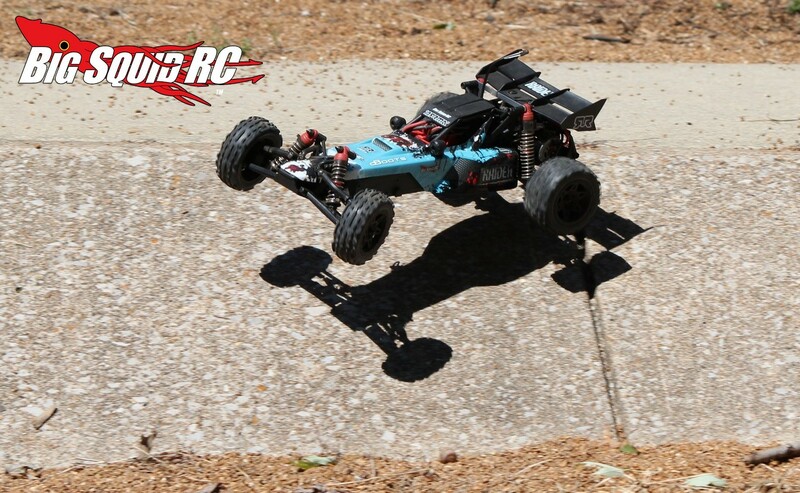 Fun Factor: B No, the Mega Raider doesn’t come with BLX power but we had a great time bashing it around. 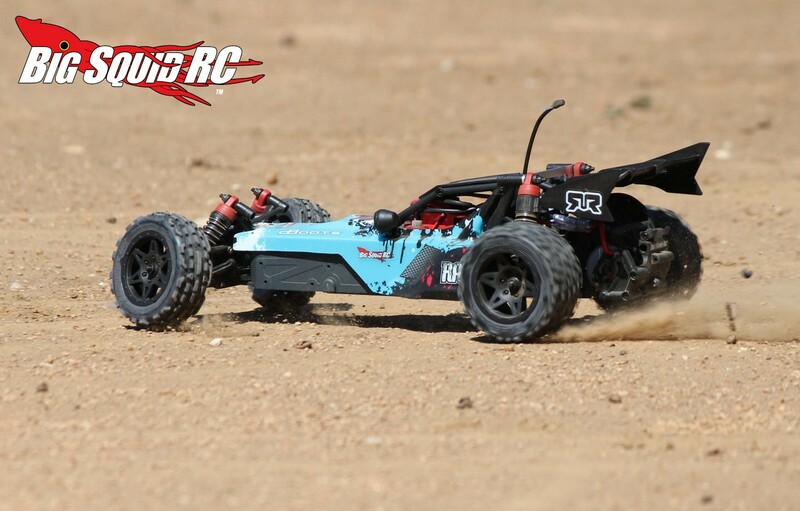 The Raider is a fun 2wd buggy platform, even in brushed form. Handling: C The push going into corners and limited rear side bite held back its score here. Value: B At only $159 the Mega Raider is very wallet friendly while being high on the fun factor. 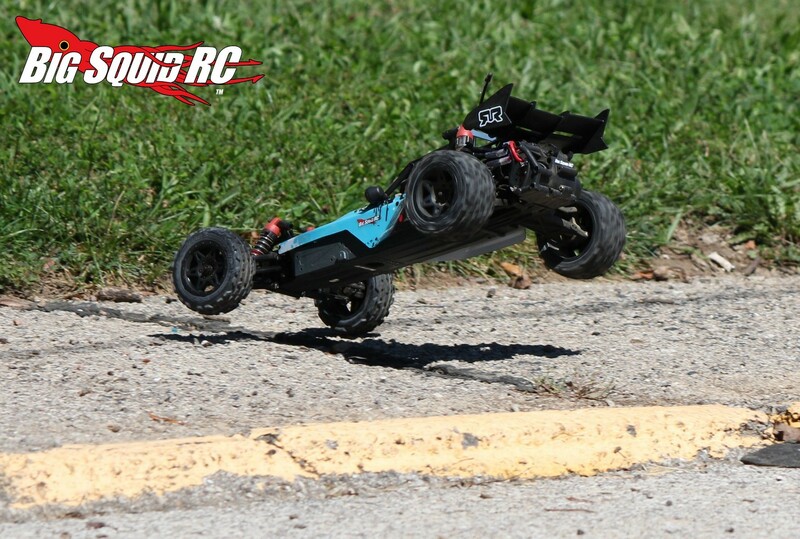 Parts Availability: C Chances are you won’t find a lot of ARRMA parts at your local hobby shop but there is steady stream of them available on-line. 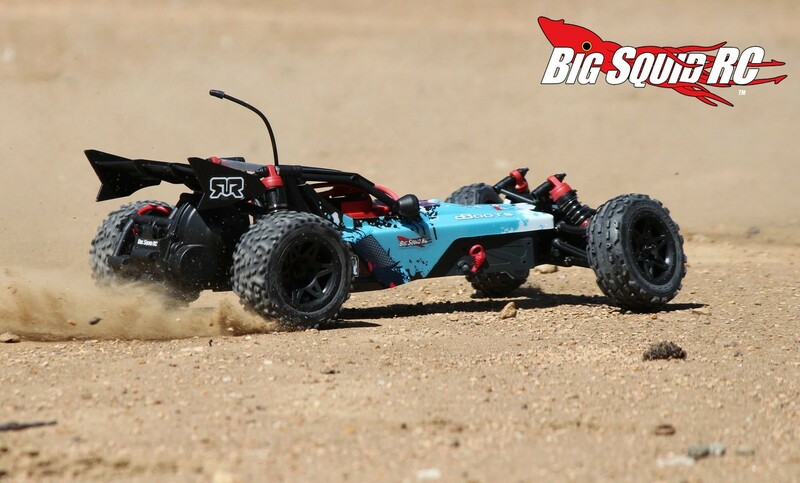 BigSquid Rating: C+ While ARRMA cut some costs on the Mega Series Raider it is still a fun and capable bash machine. 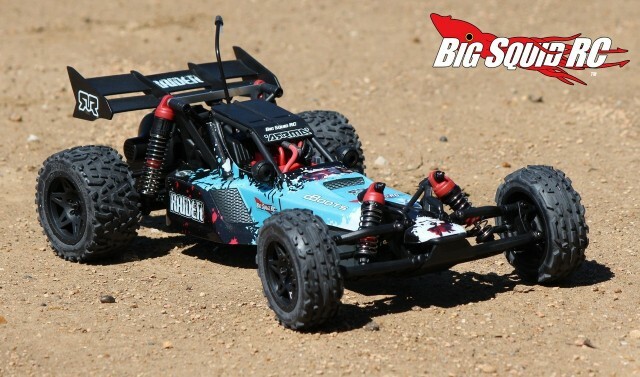 If you are looking to save some cash with an entry level buggy then upgrade later, the Mega Raider should be at the top of your list.